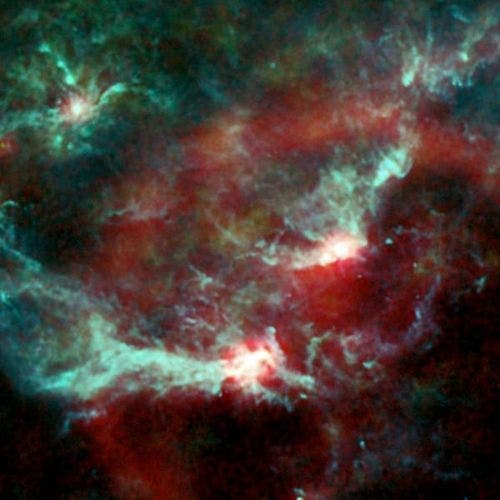 New images from ESA's Planck space observatory reveal the forces driving star formation and give astronomers a way to understand the complex physics that shape the dust and gas in our Galaxy. Where earth-bound optical telescopes see only black space, Planck's microwave eyes reveal myriad glowing structures of dust and gas. Now, Planck has used this ability to probe the Orion region -a cradle of star formation, some 1500 light-years away. 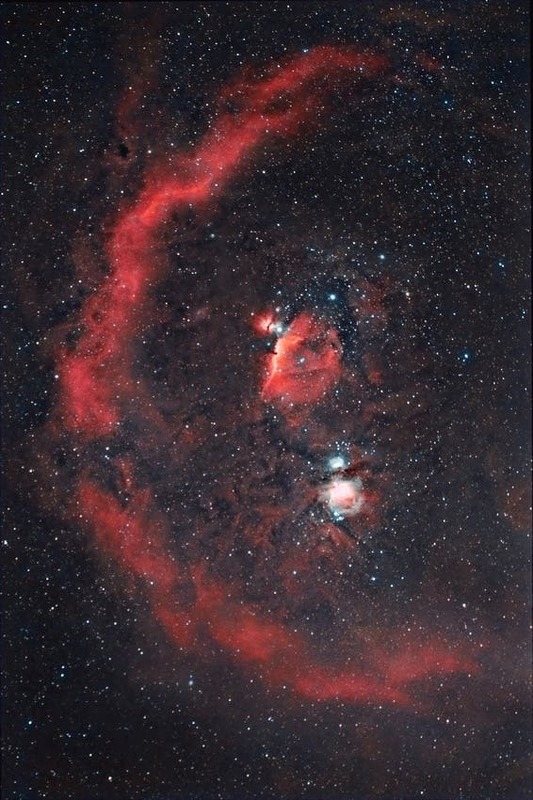 The image covers much of the constellation of Orion. The nebula is the bright spot to the lower centre. The bright spot to the right of centre is around the Horsehead Nebula, so called because at high magnifications a pillar of dust resembles a horse's head. The giant red arc of Barnard's Loop is thought to be the blast wave from a star that blew up inside the region about two million years ago. The bubble it created is now about 300 light-years across. In contrast to Orion, the Perseus region is a less vigorous star-forming area but, as Planck shows in the other image, there is still plenty going on. The images both show three physical processes taking place in the dust and gas of the interstellar medium. Planck can show us each process separately. At the lowest frequencies, Planck maps emission caused by high-speed electrons interacting with the Galaxy's magnetic fields. An additional diffuse component comes from spinning dust particles emitting at these frequencies. At intermediate wavelengths of a few millimetres, the emission is from gas heated by newly formed hot stars. At still higher frequencies, Planck maps the meagre heat given out by extremely cold dust. This can reveal the coldest cores in the clouds, which are approaching the final stages of collapse, before they are reborn as fully-fledged stars. The stars then disperse the surrounding clouds. The delicate balance between cloud collapse and dispersion regulates the number of stars that the Galaxy makes. Planck will advance our understanding of this interplay hugely, because, for the first time, it provides data on several major emission mechanisms in one go. The Daily Galaxy via European Space Agency.